newhope is people becoming the church by presenting hope and developing people. We believe that the Gospel is good news for all people. 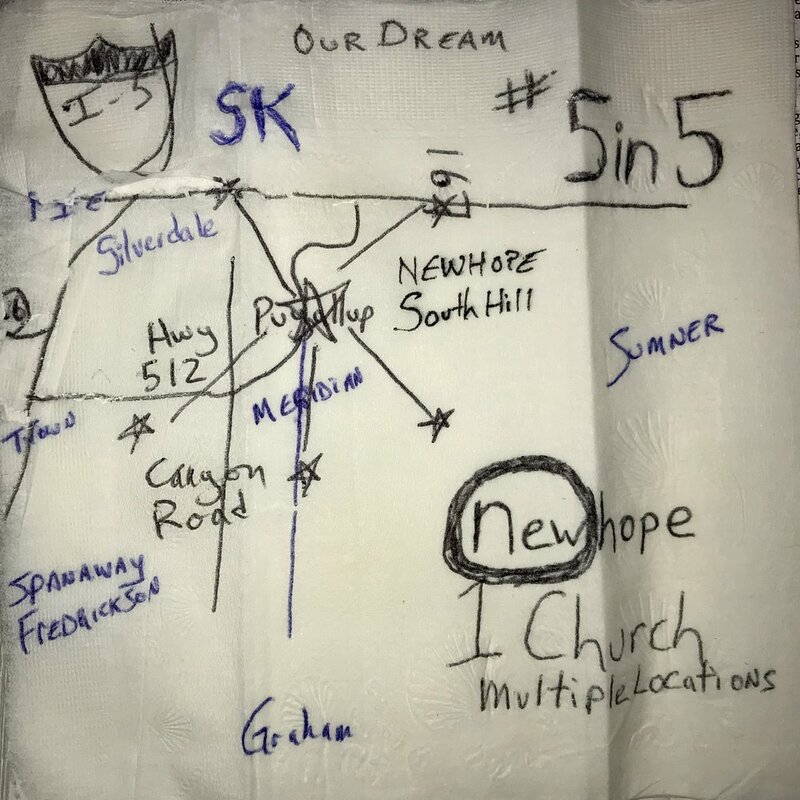 In June 2013, 9 months before we launched newhope, we sat down at a restaurant with a single napkin and wrote down what we believed God was calling us to do on the South Hill. Our vision was to start 5 churches in 5 years. We call it 5in5. Creating a culture of multiplication requires a thriving leadership pipeline where pastors and leaders are trained to carry out the mission. As God has enabled us, as of March 2018 we have started 4 churches with our 5th newhope en español in the pipeline.